Designing control systems for the defense industry since 1990. North American Controls Inc (NAC) founded in 1990 has expertise in designing control systems for the defense industry from initial concept through product delivery. Through the years NAC has gained vast experience in developing engineering solutions for hydraulic, pneumatic, suspension and fuel control systems for ground combat vehicles. 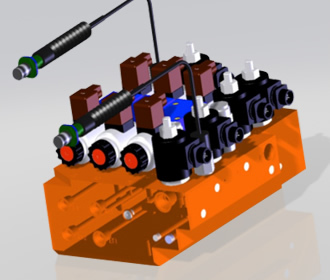 Our engineering capabilities allow NAC in close collaboration with our customers to manage a project of determining requirements for a fluid power control system including scope of work, concept generation, creation and revision of CAD drawings, 3d modeling, FEA, rapid prototyping, and verification testing. NAC is a full service production facility capable of product assembly including completion of standard acceptance test procedures all performed in-house by trained technicians. Operations are monitored and controlled by our quality assurance program that is ISO 9001:2008 certified. NAC maintains export compliance through registration and adherence with ITAR and EAR regulations. Operations are monitored and controlled by our quality assurance program that is ISO 9001:2008 certified. NAC maintains export compliance through registration and adherence with ITAR and EAR regulations. North American Controls Inc has a professional staff of experienced engineers who design control systems for defense including hydraulic, pneumatic, suspension and fuel control applications. All of the engineering staff has several years experience in designing control systems for the defense industry and has a college degree. 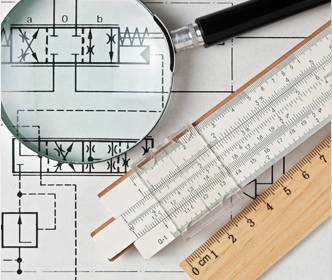 Engineering is responsible for the entire design process and maintaining the design after release. North American Controls has the in-house capability to perform all design and development processes. NAC has a professional staff of experienced engineers to design control systems. NAC has a quality assurance department responsible for receiving and inspection of purchased components and complying with all customer requirements when fulfilling customer orders. 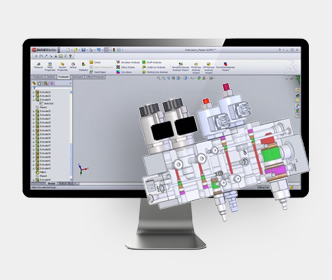 NAC has the facility to perform all of the necessary manifold machining (CnC), product assembly and kitting. NAC has test stands capable of testing any hydraulic, pneumatic, suspension and fuel products. NAC has experience designing and manufacturing custom hydraulic, pneumatic, suspension and fuel solutions for the defense industry. NAC also has experience with hydraulic power supplies, hydraulic and pneumatic filter, custom valves and electric actuators. NAC products are currently in the field throughout the world. Copyright © 2019 North American Controls. All Rights Reserved.